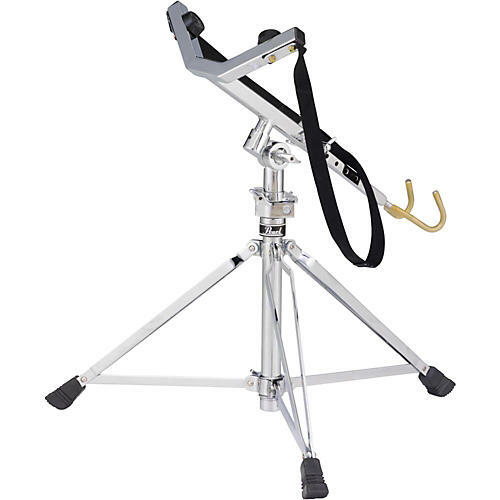 Chrome plated professional Djembe Stand with a low center of gravity and Lift-Loc buckle system to secure your Djembe. In stage performance, it is important to elevate your drum so the bass noters can speak more effectively. The contact points are cushioned so as not to mar the sides of your drum. Place your hand-hewn African beauty in this stand with confidence. Six 1 in. Spring lock length adjustments extend the holder from 16.75 to 21 in.